Knitting competitions are great settings for knitters to gather and share their craft. Along with encouraging creativity, they promote high standards. They impart a sense of pride in presenting quality work and they are fun for both participants and observers. This course is intended to prepare you to judge knitting competitions. The Knitting Judges Certification Course is TKGA’s original certification course. 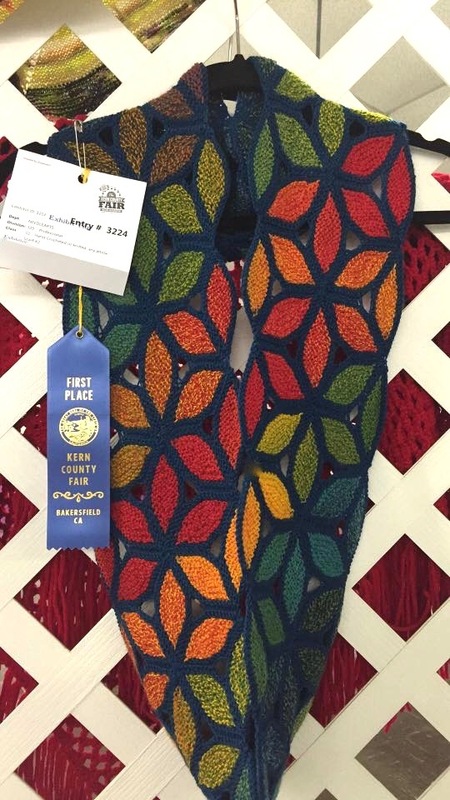 Sue Lambert is the current course instructor and has moved it into the 21st century, adding information for internet judging and competitions that are new to the fiber community. Sue is a TKGA Certified Knitting Judge who has organized and judged many knitting events. You will benefit from this course if you have a good understanding of knitting techniques and wish to serve as a judge for knitting competitions. Those entering competitions will also benefit from learning how their work will be evaluated and ways to make their work stand out. In this course, you will receive three Resource Documents, the first of which is The Blue Ribbon Manual of Competitive Needlearts Events by Janet Johnson Stephens and Donalene S Poduska. The second document contains additional and supplemental material, and the third document contains examples, templates, and resource materials available for judges. To receive certification you must be a member in good standing. You will answer questions, review several books, develop a critique sheet for judging, and you will participate in several judging activities. Upon purchase, all of the course materials will be sent to you via email and you will be sent a link to Dropbox to access the materials as well. You will be participating in a mock internet contest via Dropbox. You do not have to have a Dropbox account to participate or to retrieve the materials. Once you’ve completed all of the activities, you will email them to the instructor for review. You will be able to make corrections if needed and the instructor will work with you to ensure you understand the material. Certification will mean that you have acquired the necessary skills to judge and can market yourself as a Knitting Judge. Your name will be listed in Cast On and on Ravelry and will be added to the list of Certified Knitting Judges on the TKGA website. You will receive a certificate acknowledging your achievement, and you will be invited to work as a paid judge for the next TKGA Design Contest immediately following your finishing the course as long as you maintain you TKGA membership. The fee for this course is $130.00. Since this course is done through email, there is no shipping or handling fee or higher cost for non-US students. NEED A KNITTING JUDGE FOR YOUR NEXT EVENT? If you are not yet a Member, JOIN NOW to take advantage of all our course offerings.